Read about - Mullaway Headland below. Mullaway Headland sits on the NSW coast (north of Coffs Harbour) and just a short work from the beach car parking area. Mullaway is a small community and has one corner store/takeaway but was very popular with surfers on the day we visited the area. Mullaway Headland has a lovely walking track for sensational views – steep cliffs, rock ledges and Solitary Islands Marine Park are all stand-outs. 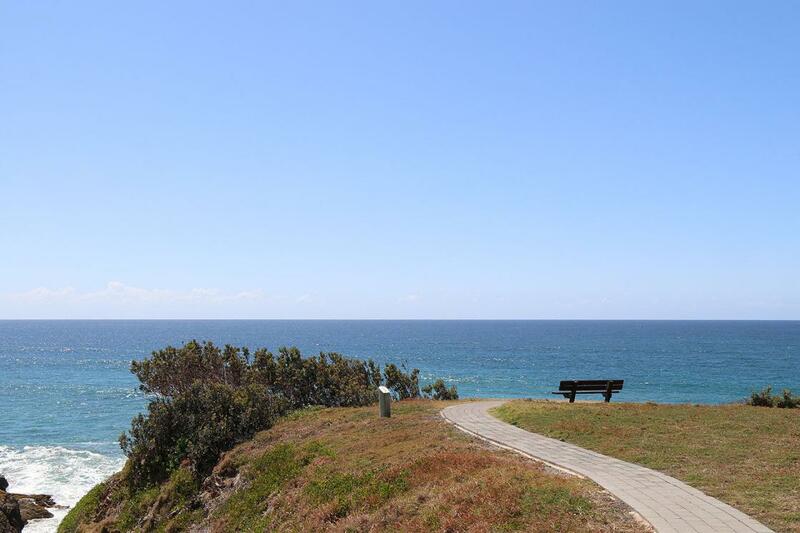 The local council has installed several seats along the path to sit and enjoy the view - particularly good when the whales are swimming along the NSW Coast. As well as great fishing and waves, there’s a small picnic area and children’s playground next the the parking area where you relax in the shade and enjoy a barbeque. have you been to Mullaway Headland? Explore Mullaway Headland with RvTrips and find out where to stay, what to do and what to see. Helping caravan, motorhome and camper owners have a great holiday.